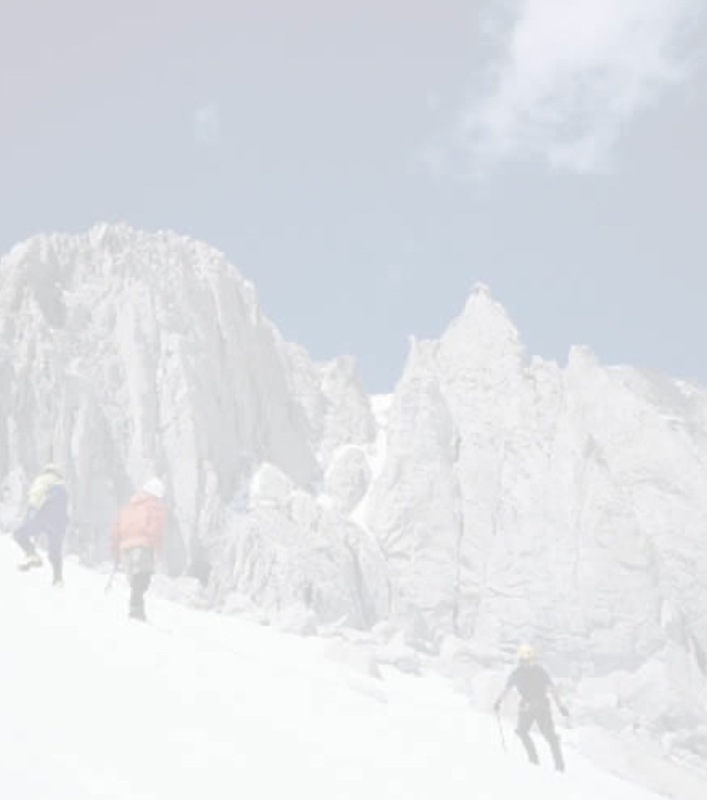 A Mt Shasta glacier & crevasse rescue alpine climbing course for those looking to take their mountaineering & alpine climbing skills to the next level. 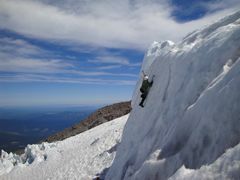 A comprehensive mountaineering course conducted on the beautiful Hotlum Glacier on Mt Shasta's heavily glaciated north side. 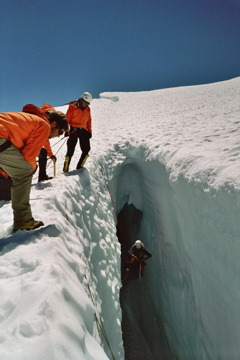 Crevasse rescue training will include all hauling systems, prusking and one-on-one rescue teachniques. 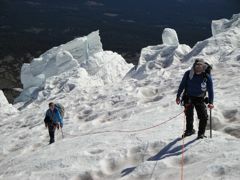 The course culminates with a climb of Mount Shasta via a spectacular technical glacier route - The Hotlum Glacier. Along the way we strive to ensure personal attention, good times and lots of fun! Perfect climbing and mountaineering training for those who have goals that include the large glaciated peaks of the world...or for those who simply want a taste of those glaciated peaks closer to home. View the Itinerary for this mountaineering course. Prerequisites: Previous ice axe and crampon experience required or one of our intro to mountaineering courses. Breakfast & dinner while on the mountain. 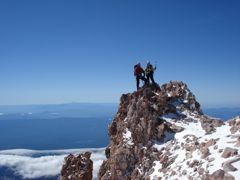 Also includes Mt Shasta summit pass.